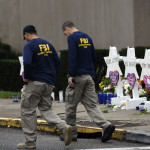 The Anti-Defamation League’s annual report on extremist killings in the United States, released Wednesday, found that individuals linked to right-wing extremist movements committed every single extremist-related murder in the country in 2018. The Trump administration on Tuesday asked the Supreme Court to deviate from normal practice and rule quickly on whether a citizenship question can be included on the 2020 Census. 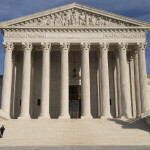 The Justice Department, represented by Solicitor General Noel Francisco, is asking that the court provide a final ruling by the time the Census questionnaires are set to be printed in June. The request follows a ruling last week from U.S. District Judge Jesse Furman blocking the addition of the citizenship question and accusing Commerce Secretary Wilbur Ross of violating a “smorgasbord” of federal rules as he pushed for its inclusion. 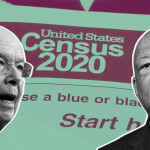 Ross ignored warnings from Census officials concerned that adding it would cut down participation in immigrant communities, leading to a less accurate count and a skewed allocation of government resources. According to Francisco, following standard protocol and appealing the decision to the U.S. Court of Appeals for the 2nd Circuit would not allow the Supreme Court enough time to issue a final ruling on the matter. Francisco noted that Furman’s ruling referred to the decennial census as a “matter of national importance” with “massive and lasting consequences”—considerations that merited this deviation from standard practice. The case in New York was brought by some 18 states, several cities, and a number of civil rights groups. Other states have also sued over the citizenship question. Read the full Justice Department filing below. Rudy “truth isn’t truth” Giuliani was at it again over the holiday weekend. In at least five interviews with the press over a two-day period, Giuliani made confusing and often contradictory statements while attempting to spin reports that President Trump and Michael Cohen were in contact about constructing a Trump Tower Moscow in the months leading up to the 2016 election. Commerce Secretary Wilbur Ross has agreed to testify before the House Oversight Committee in March over the Trump administration’s controversial decision to add a citizenship question to the 2020 Census, the committee announced Tuesday. On Sunday, Rudy Giuliani told the New York Times that President Trump and Michael Cohen were in talks to develop a Trump Tower in Moscow through Election Day 2016. By Monday, Giuliani was claiming that he had no idea if that was true at all. Times reporter Maggie Haberman tweeted out the statement Trump’s attorney put out “clarifying” his comments to the newspaper. Giuliani made the cable news rounds on Sunday to discuss the project, acknowledging for the first time that work on it endured through October or November of 2016. Sen. Mark Warner (D-VA), the top Democrat on the Senate Intelligence Committee, said that was “big news” that should have been surfaced earlier. Trump has insisted there would be nothing wrong with him working on—and failing to fully disclose—a major development project in Russia at the same time that the country was covertly working to elect him as president. Discussion of the development resurfaced after BuzzFeed reported Thursday that Trump directed Cohen to lie to Congress about their work on it. Special counsel Robert Mueller’s office took the rare step of issuing a statement calling the article “not accurate.” BuzzFeed is standing by their story. Former New Jersey Gov. Chris Christie (R) expresses scathing contempt for President Trump’s White House hires in his upcoming book “Let Me Finish,” according to an Axios excerpt released Monday. As in a previously released excerpt targeting Jared Kushner, Christie characterized Trump’s administration picks as unprepared, unprofessional, and unworthy of their titles. “Riffraff,” as Christie put it. Christie writes that he could have saved Trump “heartache,” chaos, and public humiliation had he followed the “detailed road map” that Christie laid out for the administration. BuzzFeed is insisting on the accuracy of a recent article disputed by special counsel Robert Mueller’s office, which reported that President Trump asked Michael Cohen lie to Congress about their efforts to develop a Trump Tower Moscow. “We’re being told to stand our ground. 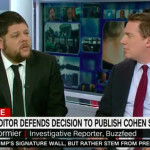 Our reporting is going to be borne out to be accurate, and we’re 100 percent behind it,” Anthony Cormier, one of two investigative reporters who worked on the story, told CNN in a Sunday interview. Cormier, who was joined by BuzzFeed editor-in-chief Ben Smith, said that the months-long reporting process involved “rigorous” vetting. The two anonymous federal law enforcement officials who served as BuzzFeed’s sources are “standing behind” their information, Cormier said. The report, which detailed alleged conduct that Trump’s own attorney general nominee suggested would have constituted obstruction of justice by the president, dominated the news cycle on Friday. But on Friday evening, Mueller’s typically press-shy office released a rare statement taking issue with the story. “Buzzfeed’s description of specific statements to the Special Counsel’s Office, and characterization of documents and testimony obtained by this office, regarding Michael Cohen’s Congressional testimony are not accurate,” Mueller spokesman Peter Carr said. BuzzFeed’s Smith told CNN he is “eager” to find that out, and that Jason Leopold, the other reporter behind the story, submitted a Freedom of Information Act requesting details on how the statement from Mueller’s office came together. 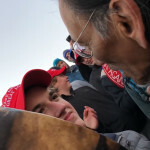 The Catholic high school student whose filmed confrontation with an elderly Native American man went viral said Sunday that he had been unfairly represented in the video. Republican lawmaker Adam Kinzinger (R-IL) called the 31-day partial government shutdown “idiotic” in a Sunday CNN interview, calling on his colleagues in Congress “to be adults” and negotiate a compromise.